Today we done a project on Surveying. We gathered at dome at 8:30 am. First we bring our instruments from Surveying laboratory. First we had to make a traverse and had to measure included angle, bearings, chain line lengths. In second project we have to set out a curve. It was a nice sunny day and also our work completed after 4 hours before 1 pm. 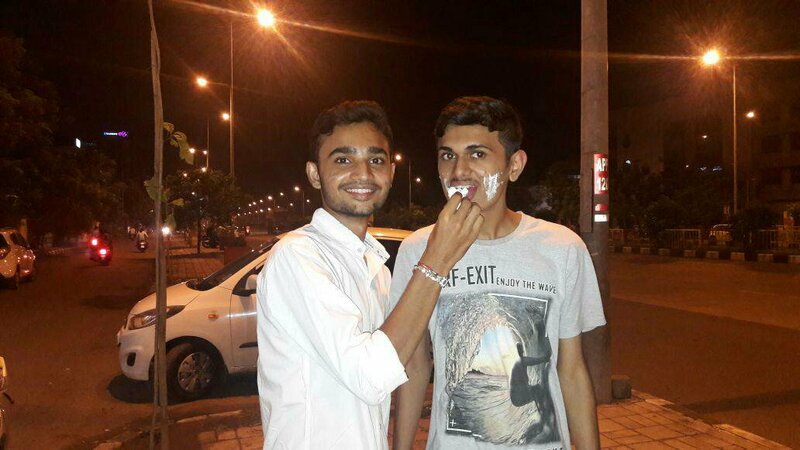 Today we celebrated my birthday. Me and my friends had dinner at a restaurant and then went to RTO road. Where as a surprise they brought a wonderful cake. I was so exited. It was a very beautiful present. I can never forget that day. 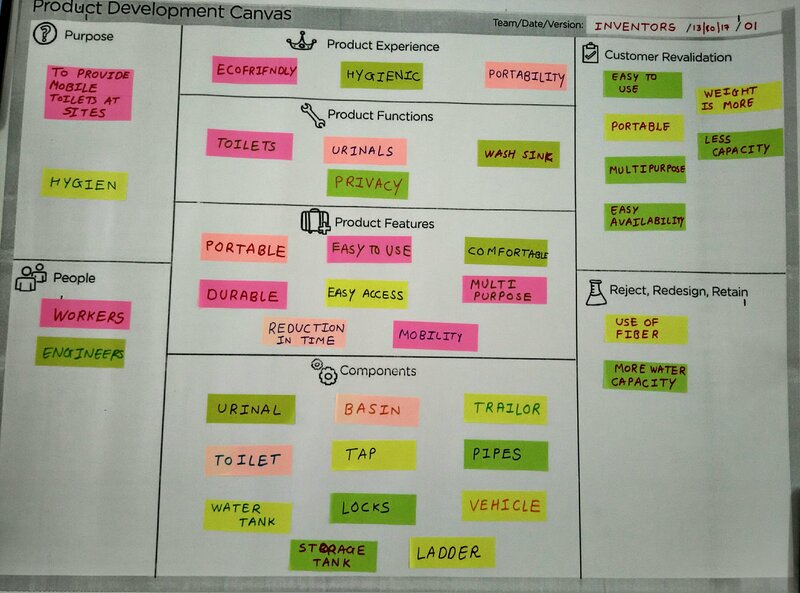 Today we made Product Development Canvas. 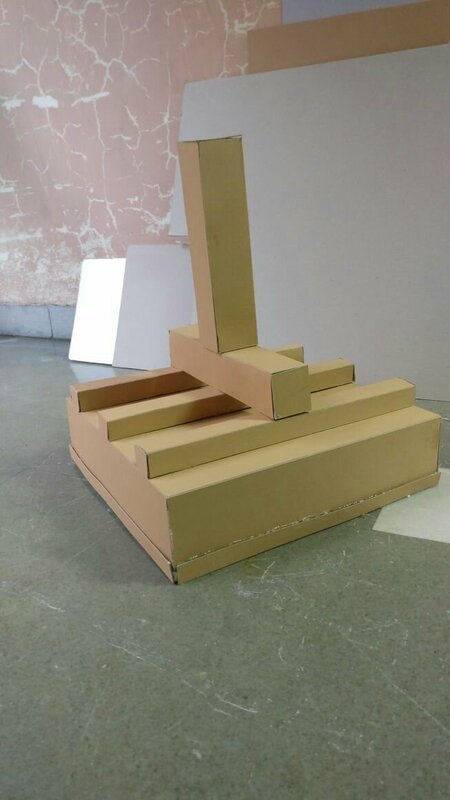 In this Canvas we had to solve difficulties faced at any construction site by the persons. We decided to make Mobile Toilets. So tbe main perposes of using mobile toilet are it is ecofriendly, easy to use and hygienic. It consists of trailer, urinal, toilets, basin, storage tanks etc. 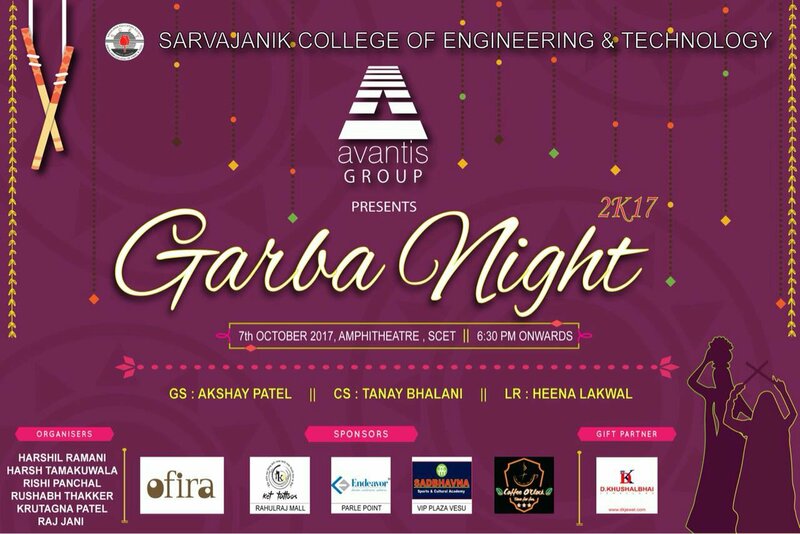 Navratri 2017 was Organized at our college today. In which all students came in Traditional dresses. 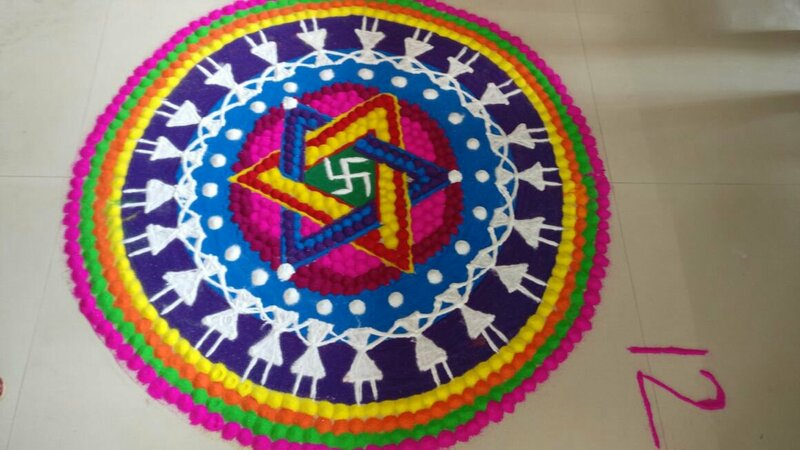 First garba started and after some time, dodhiya was started. It was aBeautiful environment. All students enjoyed a lot. After garba, by many requests DJ held. Today we learned about Ideation Canvas. In that in first top most box we have to write people around us. Then below that two boxes were there. In which left side was Activities and right side was Situation/Context/Location was written. 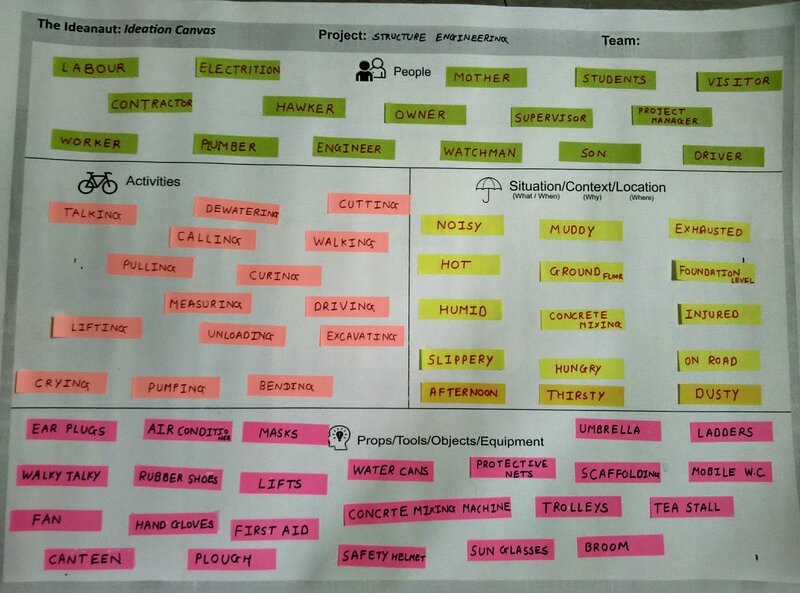 First we have to choose one user and write activities which he/she is doing and in third box we had to write the location and reason for activity. And we had to repeat this process for other all peoples. And in last box we have to create problems faced by people during activity and had to write solutions for them. It was a Wonderful Experience. Today we participated in Exuberance competition. 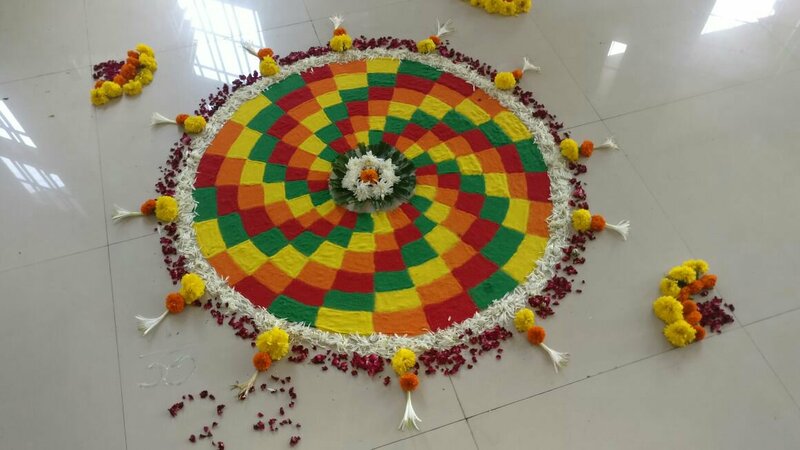 We participated in Rangoli event. There were over 150 participants. So the competition was very tough to win. But we tried our best to win. There were different categories, like colour combination, theme etc. Today we learned about Empathy Mapping. In this we have to choose any user like worker, labour, site engineer, supervisor etc. Then we have to write the Stakeholders around that user beside the user box. After that, below the Stakeholders we have to write the activities going around the user. Below that we have to write two happy and two sad stories about the choosen user. 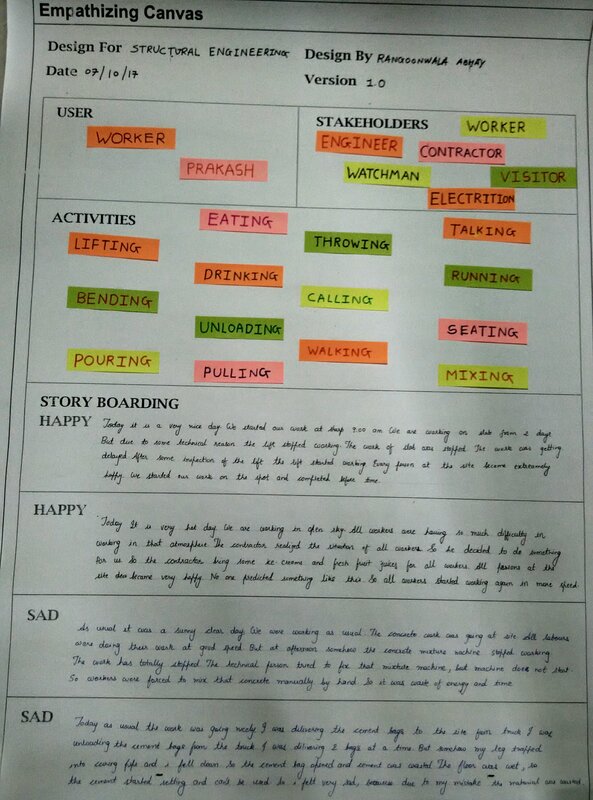 Also we have to write about the feeling of that user which are experienced by user during event. Today we participated in Exuberance competition. We participated in collage event in which we were given two topics namely (1) Face, (2)Land Scapes. We decided to make face art. 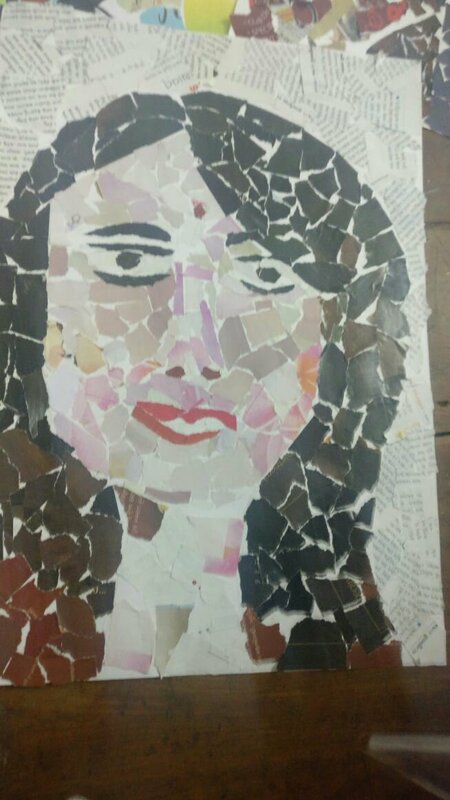 So we made a women face by using pieces from magazines and news papers. Today we prepared model on Grillage Foundation. We made two ty0es of Foundation. 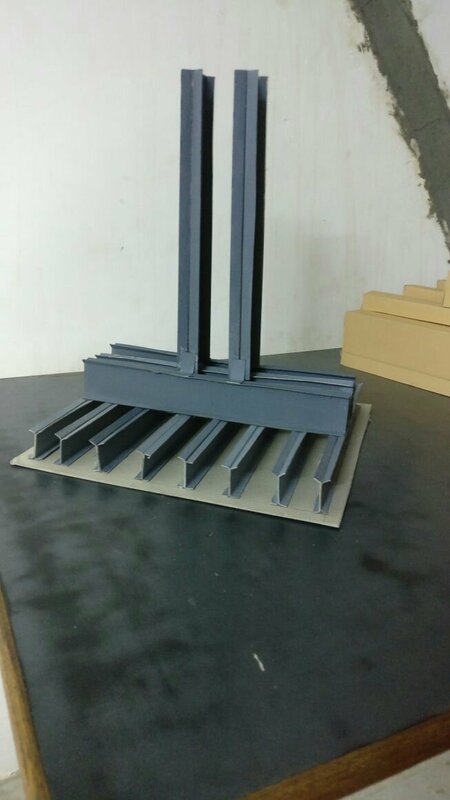 The first model was on Timber Grillage Foundation and second was on Steel Grillage Foundation. Both models were made up of card board and are sticked by using glue gun and Adhesive taps, and coloured with timber and steel finish colours. We also made video presentation on that models. It was a wonderful experience. Nirmaan is the event which was held under Kshitij state level event. I participated in 2 compitition which was PIPE PONTOON and AAVISHKAR – MODEL PRESENTATION. In pipe pontton we had to make a bridge from straw, pin and a thermocol sheet having span of 40 cm and height of 27 cm. It was a wonderful experience. 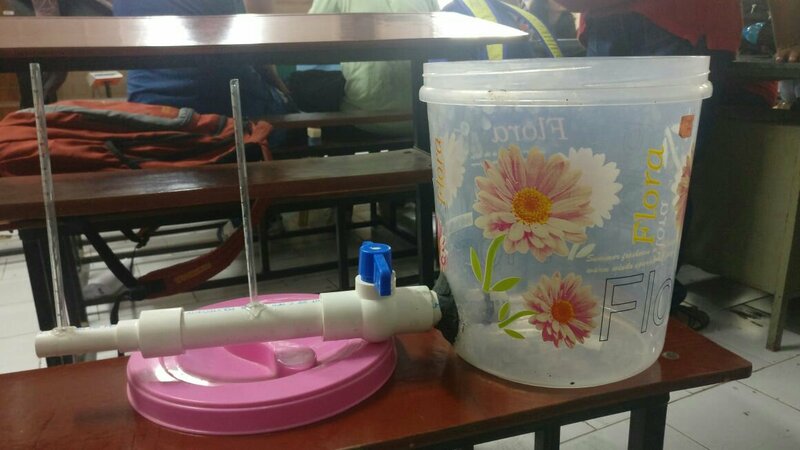 In model presentation we made a model of VENTURIMETER. It is the machine which is used to measure pressure difference and flow rate in the pipe having any fluid. It works on the principal of BERNOULLI’S EQUATION. We presented that model in that event. We also learnd something new.